Well, well… Smashbox Photo Filter Powder Foundation you are quite the little wonder. After being sent a preview compact I’ve been wearing this foundation for two weeks now, and I have been verrrry impressed with it. Powder Foundation will quickly become a makeup must for many fans of the brand out there and newbies too. 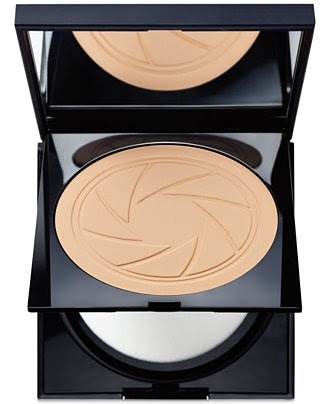 The eight-hour wear powder foundation provides two filter effects in the one portable – and very attractive, I might add – compact, which comes with a double-sided sponge for both sheer and full coverage. One side is slightly more velvety than the other, and is said to provide a more natural finish. I had a go at applying the product with a kabuki style brush too, buffing it into the skin for an airbrushed finish that was pretty damn flawless, and can highly recommend that approach too. Smashbox’s Light Filter Technology combined with the performance of long-wear Photoset Polymers (apparently inspired by medical-grade liquid bandage technology!) make sure that the formula sticks to skin for hours on end, meaning there is no need to reapply throughout the day. Not only does it stay put, the non-drying, non-caking and non-settling particles in the oil-free foundation formula are translucent, so the pigment’s true colour always comes through. The powder is extremely soft and creamy and literally glides on to your skin, which is a bonus if you have drier skin or are the wrong side of 35, and you need very little product to get a flawless finish. I felt like the foundation really did “blur” my imperfections, and smoothed out my face. It does not accentuate dry skin or any dry patches on your face like some powder foundations can do either, which gets two thumbs up from me.